In the last two weeks I have built a Raspberry Pi security camera. 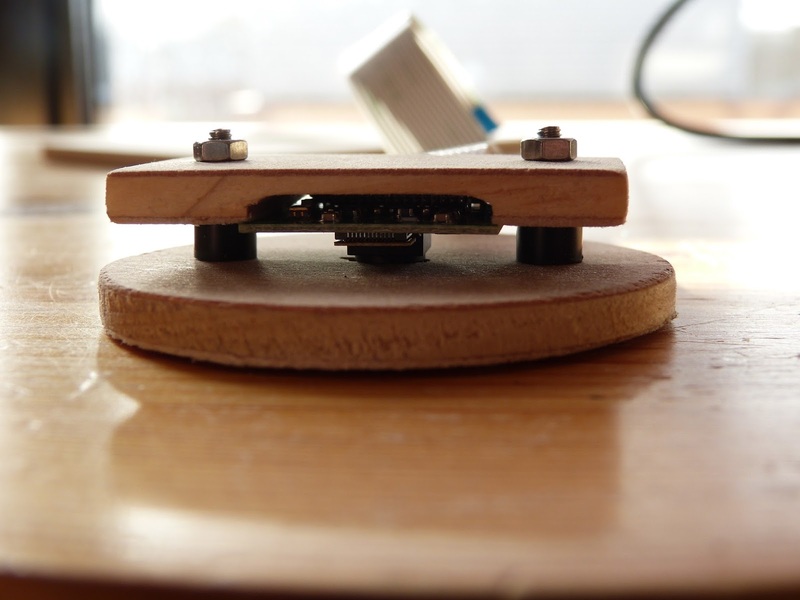 For the time being I used a crude housing made out of MDF. This was ok for testing purposes but now I wanted something more permanent. Something that I could attach to my window frame and that is able to pan and tilt to get the best angle at my backyard. 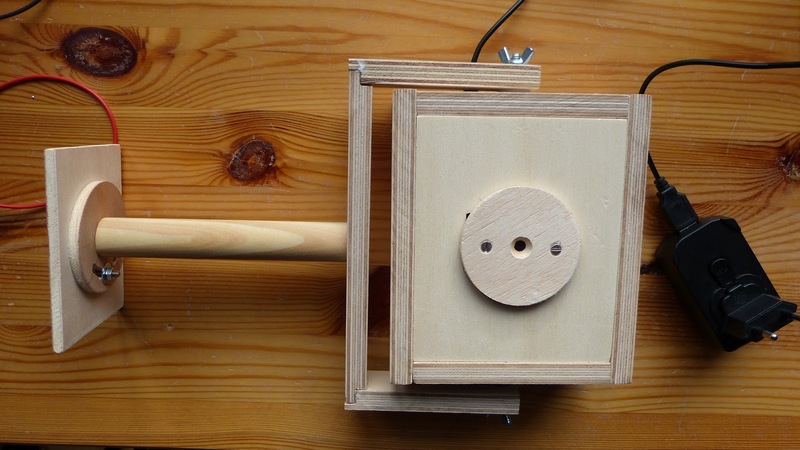 I could buy of camera housing such as the ModMyPi Nwazet Pi Camera or buy a dummy camera and build the security camera in it. However building it myself would be more fun. I decided on a housing made out of plywood since it is cheap, strong and durable. 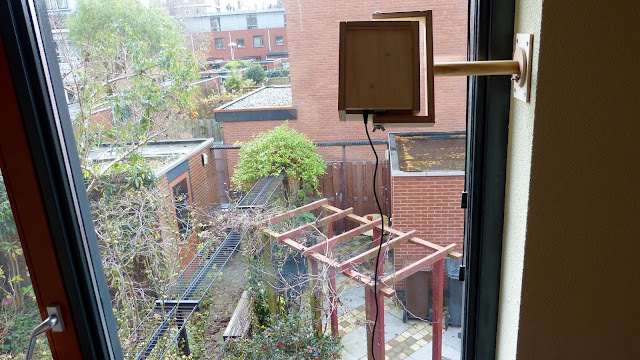 The Raspberry Pi security camera keeping an eye on my backyard. The housing is rectangular box that nevertheless looks like a camera due to the round placeholder of the camera. I used 1/2 inch thick plywood for the body of the housing and 1/4 inch thick plywood for the lid and bottom plate. 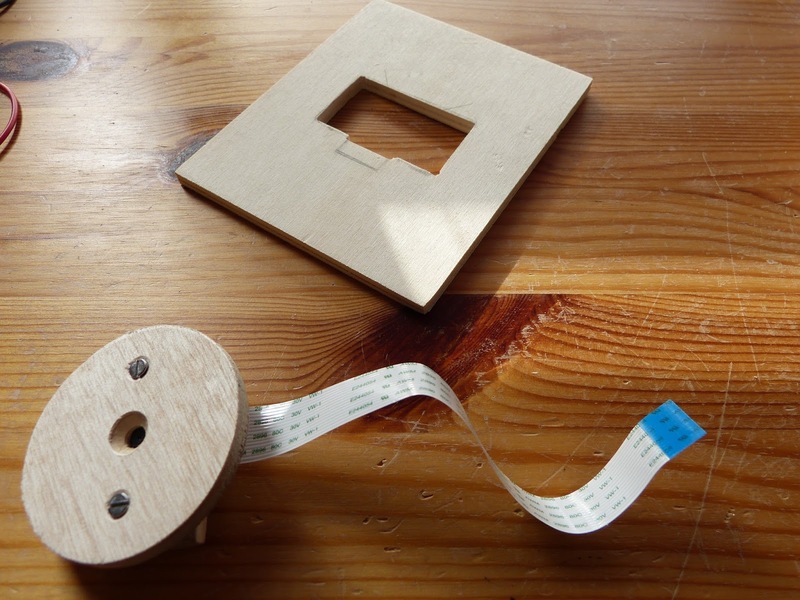 The camera module is placed between two pieces of plywood, that keep it in place. The two pieces are tight together with two machine screws. I used spacers to prevent the module from being squeezed when tightening the machine screws. 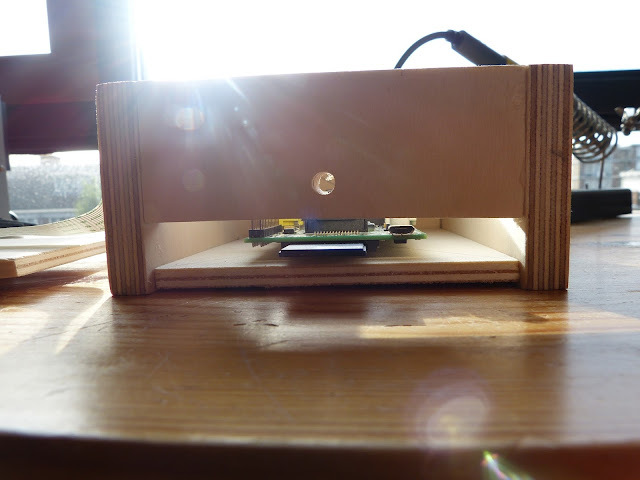 The front of the housing lifted showing the Raspbery Pi B mounted on the 1/4 inch plywood bottom. The camera module is easily removed from the front. I left an opening in the camera housing to have easy access to the micro-USB connector and the SD-card. 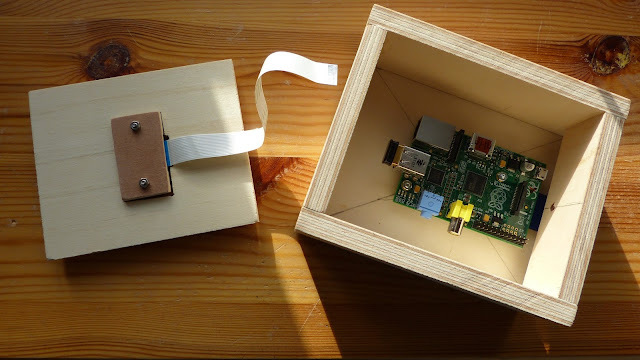 the Raspberry Pi camera module between two pieces of 1/4 inch plywood kept together with two machine screws. The camera housing is connected to a plywood frame that enables me to pan and tilt it. The frame is also made out of 1/2 inch thick plywood. The three pieces are glued together and two 1/4 inch machine screws (one on the top of the housing and one on the bottom) connect the frame with the housing. Two wing nuts are used to tighten the camera enabling the camera to pan. The frame is connected to the wall with cylindrical piece of wood (from a broom stick). Two pieces of plywood at the end of this pieces of wood enable the camera to tilt (see image below). 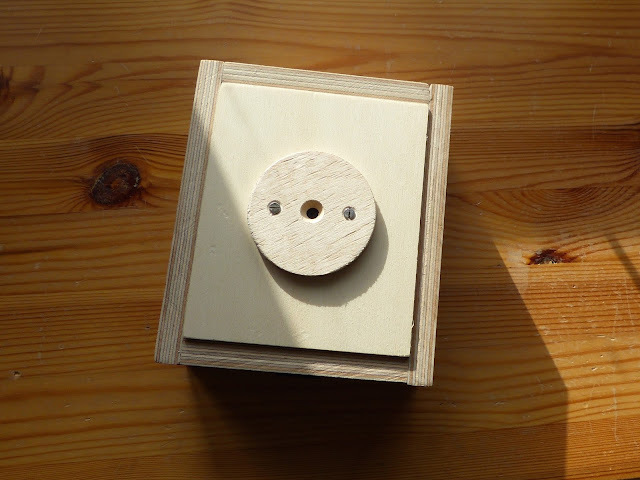 The finished security camera. The mount will be fitted to our window frame. The camera can be panned and tilted to get the best view of my backyard. With the housing and mount complete my Raspberry Pi security camera is finished. Motion has been very stable on the Pi. I haven't had a crash or malfunction in three weeks. And thanks to crontab the camera doesn't need a lot of maintenance. Is there something left to be desired? Yes. The camera is not usable at night (I need the NoIr camera and IR lights for that) and I have false positives e.g. when it rains (the raindrops on the window are causing this) other than that I'm pleased with the result.